Home / Politics / As Battle for PDP Ticket Thickens: Who Blinks First? As Battle for PDP Ticket Thickens: Who Blinks First? In the next few weeks, activities geared towards the 2019 general election will begin, and a lot of attention will be placed on the opposition parties especially the Peoples Democratic Party (PDP), which in fact, is the opposition. The attention on PDP will not only be to the extent of its ability to wrest power from the ruling All Progressives Congress (APC), but to how smartly it will be able to maintain its peace and keep the party together in the wake of the number of heavyweight politicians seeking to fly it’s flag. No doubt, a good number of Nigerians are unsatisfied with the change the ruling party has brought on national and economic life. Many have concluded that APC is, in practice, the other side of PDP. 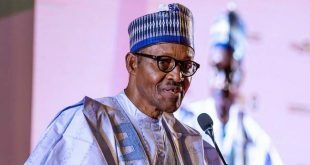 This creates a void in the mind of many such that the question remains if President Muhammadu Buhari, given his health challenges and what many consider as a lack of grip on leadership developments and realities, will still be on the 2019 presidential ballot. The body language from his party, the APC, is to the effect that it has no other persons aspiring to become president under its platform in 2019 but Buhari. This shifts the attention to PDP where several party bigwigs had indicated interest. Such interests are also from the northern divide of the country. This domiciles ‘battle’ for the presidency in the north while the southern divide would be seen as decider. With Buhari certain to fly the APC flag, the next challenge is who squares up against him from the PDP? As at the last count, there are at least ten aspirants who have indicated interest to contest for the PDP ticket. Who gets it is a matter for PDP delegates to decide. But from the field, their chances against Buhari will be determined by Nigerians. 2019 will be his fourth attempt at contesting to become Nigeria’s president. Many believe that going by Buhari’s experience, 2019 may be his year. Buhari won the election on his fourth attempt. But unlike Buhari, Atiku is more detribalized with followership and support across all states of the country. Rich and capable of funding his election campaign single handedly, Atiku presents himself as deeply knowledgeable about the intricate details of demographic balancing in Nigeria’s politics. He has good understanding and appreciation of Nigeria’s diversity and has drawn from that to grow his businesses. However, he seems to have too many drawbacks from his northern political home base as many do not see him as a core northerner -a label that is used to discriminate between the liberal and conservative northerner. His pre-campaign promises to restructure nigeria and make it workable captures the minds and hearts of southern political leaders but scares his northern folks who are strictly opposed to a restructuring of Nigeria that would task their ingenuity in resource management and wealth creation. For many youths, Atiku represents a new beginning especially for his appreciation and support for the creative industries were many Nigerian youths had excelled. Atiku also demonstrated courage in challenging the limits. He is not afraid to state his mind and to pursue causes he believes in. However, he will have to convince his party delegates, and Nigerians in general that he is indeed the candidate that will launch Nigeria on the path of glory. Many look at him as part of the old breed that brought the nation to its present sorry state. There is a mindset in many quarters that he acquired his wealth through devious and corrupt means, especially with stories of his days as a customs officer flying around, and insinuations that he can’t step into some countries because of allegations of wrongdoings against him. In all, Atiku still has a lot of work to do within PDP despite the fact that he had travelled round the country in the past few weeks seeking the support of everyone that matters. He is also the first among the pack to have publicly declared his intention to contest for the top job. Tambuwal’s ambition to contest for the presidency of Nigeria has gone from being speculative to definitive, as he purchased the party’s expression of interest form on Thursday. Tambuwal, until now had remained quiet on the project while still consulting with different segments of the country. He is young and fits into the bill for the aspiration to have a younger person become president. However, many believe he still has a lot of learning to do. 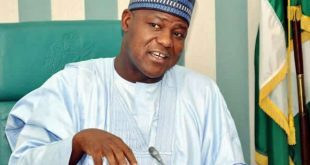 His brightest chance was in 2014 when he had a rock-star rating following his opposition to President Goodluck Jonathan despite being a PDP member and Speaker of the House of Representatives. Many believed he would have won the presidential election had he taken the plunge. However, it was believed he was talked out of it be those who were promoting other interests. His settling for governorship of Sokoto state has also exposed his depth of leadership especially with his focus on education and rural development. Though he has served for just one term as governor, Tambuwal lacks deep penetration in the southern divide of Nigeria, but this can be remedied if he clinched the PDP ticket. He is not deeply rooted like Atiku in the south. For this, his touted ambition to contest for the presidency may be flowery. Recently, posters of him and another former governor of the Sokoto state flashed through streets of the state announcing the former governor for president in 2019 and Tambuwal for governor. It might as well be that Tambuwal desires a second term as governor but would prefer a different platform from the APC which he said had lost leadership focus. Many however believe that Tambuwal may not yet be ripe for the presidency of 2019 despite backing by the Sultanate and some top ex-military leaders. Kwankwaso’s sights on the presidency have been more of focused speculation that of any real action. However, his public declaration on Wednesday in Jabi, Abuja, to contest for the office added some bit of seriousness to his aspiration. Despite decamping from APC where he contested in the presidential primary election in 2014, Kwankwaso has a strong followership in the northwest part of the country. This sequesters him in the northwest. Beyond that, he is pariah. He is hardly considered serious in the southern part of the country and does not even have a presence there. Although this can change if he eventually secures the party’s ticket. Many believe that his politics is swallowed up in the Hausa/Fulani leadership friction in the north. Kwankwaso is Hausa and not considered as one to lead the Fulani. Many also believe he will strike a deal with Atiku not to enter the presidential race but remain within PDP and play the spoilers role for APC in Kano where Buhari secured about two million votes in 2014 on the influence of the Kwankwaso factor. APC considers him a great loss and will rue issues that forced Kwankwaso away from it. In all, Kwankwaso may not have a handle on managing delegates that will vote at the PDP presidential primary election. Though he was denied use of the famous Eagle Square by managers of the facility, Kwankwaso’s red-cap crowd took the shine off the visit of British Prime Minister, Theresa May, to Buhari in Abuja. Kwankwaso’s crowd announced him as being serious, but it failed to show a mix of Nigeria’s diversity. That could be a huge minus to his game. Sule Lamido is in the twilight of his political career. 2019 may be his last contest for power. So, he needs to put in his best. Though a very strong factor in Jigawa and adjoining states, Lamido is seen more like an Olusegun Obasanjo-boy. Though he refused to decamp to PDP when the floodgate opened in 2014 after disagreements with the party’s leadership then, and remained to salvage it, he still does not have the support base to achieve a presidential ambition. He has been governor and minister but lacks the broader pan-Nigerian angle to politics. Even in Jigawa state where he holds the reins, he is having problems with his support base for reasons aligned to the ambition of his son to enter the senate. Many liken Lamido to Buhari and insist that their worldview is similar. Such a destructive comparison will make it difficult for Lamido to push his aspiration beyond the posters that dot some street light poles in Abuja. Not many think him serious. But this Kebbi state-born Senior Advocate of Nigeria is serious. He came to national limelight when President Goodluck Jonathan appointed him a Minister for Special Duties and he eventually led Federal Government negotiations with Boko Haram. This makes him deeply knowledgeable about Boko Haram issues and the details that have been denied by the incumbent administration in the areas of efforts to eliminate the terrorist gang. Turaki was also a member of the team of northern political leaders led then, by Olusola Saraki (late), which negotiated Jonathan’s administration into being as President Umaru Yar’Adua gradually faded out. However, his political catchment area has not gone beyond Abuja and his home state where he once aspired to be governor. Turaki is not known to many outside Kebbi and Abuja. He has no national spread and support like Atiku. His views on national issues remain unknown and he lacks the capacity to even market himself beyond the billboards announcing his interest in the presidency. Ibrahim Damkwambo is an astute administrator. He has led Gombe state gloriously in the past seven years plus. He is one of the pillars that has held PDP together since 2015. He is suave and educated. An accountant by profession, he is a good manager of resources and could make a good president but he also suffers exclusion because of his minority status. He has not been sold to the southern divide as an alternative in PDP’s quest to regain the presidency and as such many do not count him serious in the race. It is believed that his association with the presidential race is the normal outcome of the conclusion of an eight-year governorship run. Damkwambo needs to make Nigerians believe he is serious about the presidential contest. Though he has made some positive marks on the life of Gombe, same have not been communicated to the larger Nigerian public as strong enough to make him win the PDP ticket. He however comes across as a good manager of resources, human and material. Saraki has become a very popular politician of the 2015-2019 era because of the political mishaps of the Buhari leadership. No politician of this period has suffered as much humiliation like him. However, with each humiliating bout, his popularity soars leaving his traducers, who are found to be in bed with Buhari, gasping for breath. But many see him more as working to upstage APC in the general election and negotiate for himself, to retain the office of Senate President. Saraki, who had long before now been secretly eyeing the presidency, finally made his intention public on Thursday, though he has been seen consulting with past Nigerian leaders including Ibrahim Babangida, Olusegun Obasanjo, and Goodluck Jonathan. Saraki who lacks a very strong political base, does have some support in the southeast and southwest, he is however without much support in the northeast and northwest where many see him as using his office to undermine Buhari. His north central base is a home for him and has been made easier for him with the murderous rampage of the Fulani herdsmen which is certain to cost APC its votes in the region. Considered as one person Buhari would love to jail, the Senate President does have a number of baggage working against him. Corruption allegations have been flying around him, some of which he has cleared, but a long-time tale of how his family handled the now collapsed Societe-General bank still dangles on his neck. This ex-governor of Kaduna State and ex-senator would like to cap his political journey with the presidency of Nigeria. He is a cerebral mind and also articulate. PDP remembers him for his loyalty and service, especially, for leading it through a crisis occasioned by Ali Modu Sheriff. His calm-headedness in the face of all the troubles that the party had to go through, earned him high respect among party members. However, despite being an alumnus of Federal Government College, Enugu, Makarfi still lacks that appeal that makes one deserving of the presidency. Though he may have friends across Nigeria, it is doubtful if the friendship is a sign of political support. Makarfi does not have the mass appeal that politicians look out for before taking the plunge. Some say he is preferred by some retired generals, but many believe he is not deeply serious about the contest but seeking political accommodation in post-2019 elections. However, there are feelings that he may be counting on his successful midwifing of the party through its turbulent days, for a stake in the race. This former governor of Sokoto state was presidential candidate of Democratic Party (DP) in the last general election. He is believed to be wildly loved among northwest elite. However, his political influence and reach does not extend beyond his home political base and Abuja. For this reason, not a few believe he is a serious contestant for the ticket. Many in the southern divide do not even know him beyond being a former governor of Sokoto state. He may as well be one of those who wants to enrich their CVs with the title of ‘Ex-presidential aspirant’. However, coming from Sokoto state makes the game a bit tight for Tambuwal as he sure will split delegates from the state. There is a feeling that he will back out of the race at the last minute. This Kano-born politician is tactically suited for the politics of Kano. He is interested in the race as he was in 2010. A two-term governor of Kano and Minister of Education, Shekarau, like Kwankwaso, has cult followership in Kano. His aspiration for the presidency is said to be one of the reasons keeping him politically relevant. However, many see his involvement as a tactical approach towards ensuring that APC’s Buhari does not win in Kano the way he did in 2015. Shekarau suffers the same problem that Kwankwaso, Damkwambo, Bafarawa, Turaki and Lamido suffer -lack of deep penetration of the southern divide. Together, they also fail the test of policy and plans. 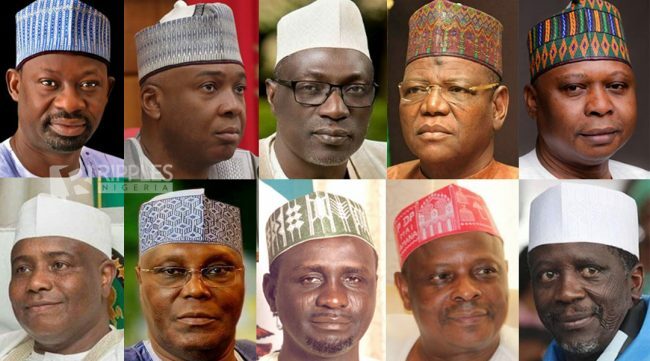 They all lack sustaining ideologies and have been unable to market themselves to Nigerians on the grounds of ideologies and policies for resurrection of Nigeria. There are views in strategic quarters that their aspirations are governed by the feeling of entitlement to rule, a feeling that the southern divide of the Nigerian polity, has become weary of. Shekarau is not deeply rooted in the political space as to cause anyone sleepless nights over the PDP presidential ticket.